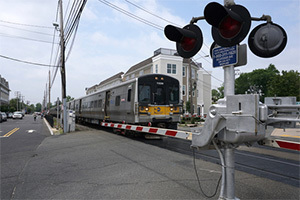 HUNTINGTON STATION, Long Island, N.Y. — A motor vehicle struck a pedestrian in Huntington Station around 9:00 p.m. on April 8, 2019, according to LongIsland.com. The walker required an airlift to a hospital for treatment of traumatic injuries he sustained in the crash. The 52-year-old man driving the vehicle that hit the pedestrian did not suffer any injuries in the incident. Suffolk County police detectives from the department’s Second Squad received the assignment to investigate the crash. The detectives have not completed their inquiry into the accident. Suffolk County police and other first responders received a 911 call reporting a pedestrian accident at approximately 9:00 p.m. on New York Avenue, on the north side of West 11thStreet. Police investigators determined that the pedestrian was hit while he was attempting to cross New York Avenue by a 52-year-old motorist from Brooklyn was who driving a 1999 Honda CRV. Police said the CRV was headed in a southerly direction on New York Avenue at the time of the incident. The pedestrian was badly injured in the collision. Suffolk County police called for assistance from the department’s helicopter to fly the injured pedestrian to the hospital. The med-flight delivered the man to Stony Brook University Medical Center. The medical facility listed the victim in critical condition. No update on the person’s current medical status is available at this time. Suffolk Police did not identify the stricken pedestrian in any press releases or media reports. Police did indicate that the driver of the CRV was a 52-year-old man from Brooklyn who was not hurt in the incident. Police have not issued criminal charges or traffic citations at this time. However, the police did impound the CRV so that they could perform their usual safety check on the vehicle. The investigating detectives did not report to the media if the vehicle’s safety systems worked properly at the time of the crash. Detectives continue to investigate the incident. They have asked for anyone who has information about the crash to contact them directly. Have you or a loved one been injured or killed in a pedestrian accident?